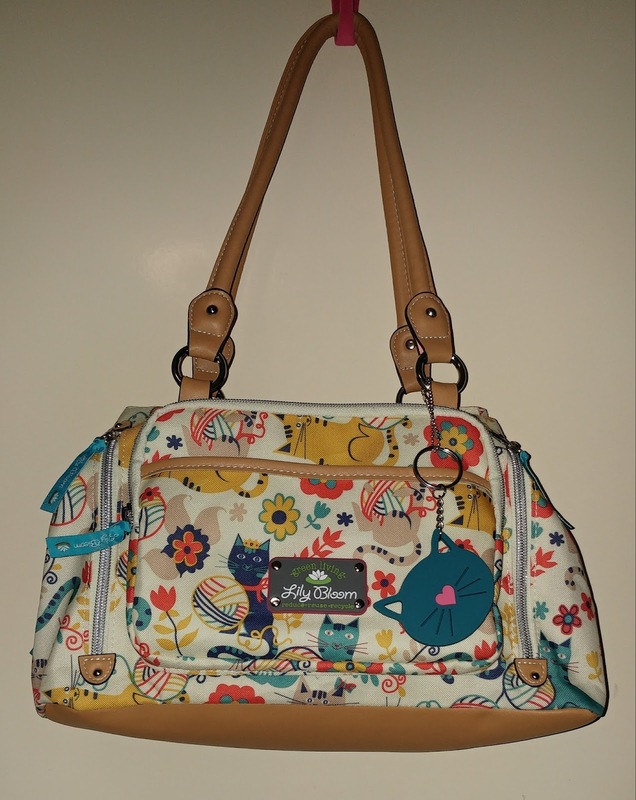 1) Cat patterned bag, Lily Bloom. 2) Tokyo print bag, Robin Ruth. 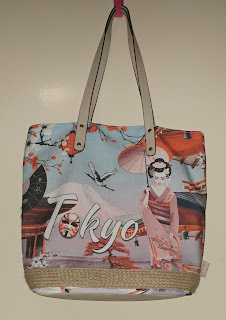 It was love at first sight when I spied this bag at the last-chance-before-boarding-the-plane-shop at Narita Airport!! 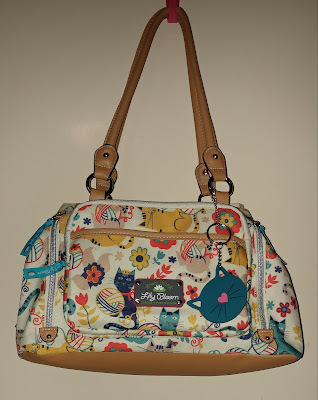 I had to line up for ages to buy this bag-but it was worth it! 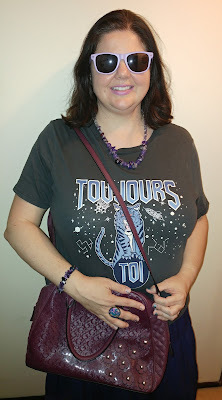 Purple is my favourite colour so I was very excited to get this bag as a present from mum! I particularly love the flower and stud detailing on the front of this bag. 4) Red tassel bag, Rockmans. Nothing beats a good red bag! 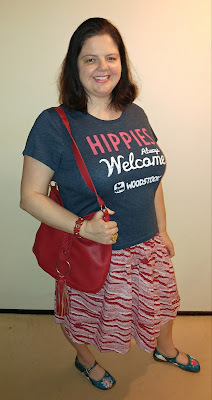 This bag is my fave shade of red and I love the tassel and metal detailing. 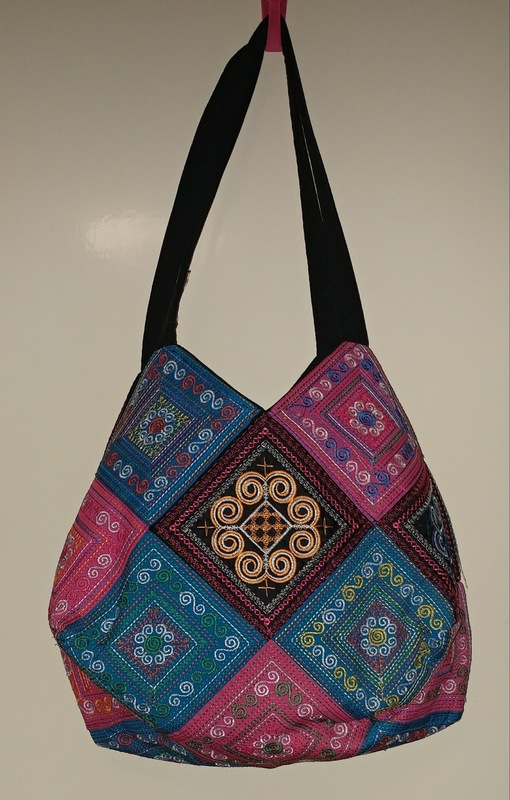 Mum bought this beautiful handmade bag for me from a village in Cambodia. It is absolutely beautiful and the attention to detail is amazing. Mum bought it directly from the lady who makes these beautiful works of art. 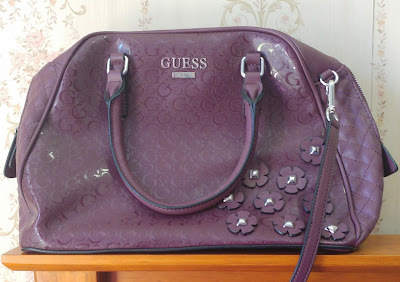 All of these bags are special to me in some way, so choosing my fave is really difficult. 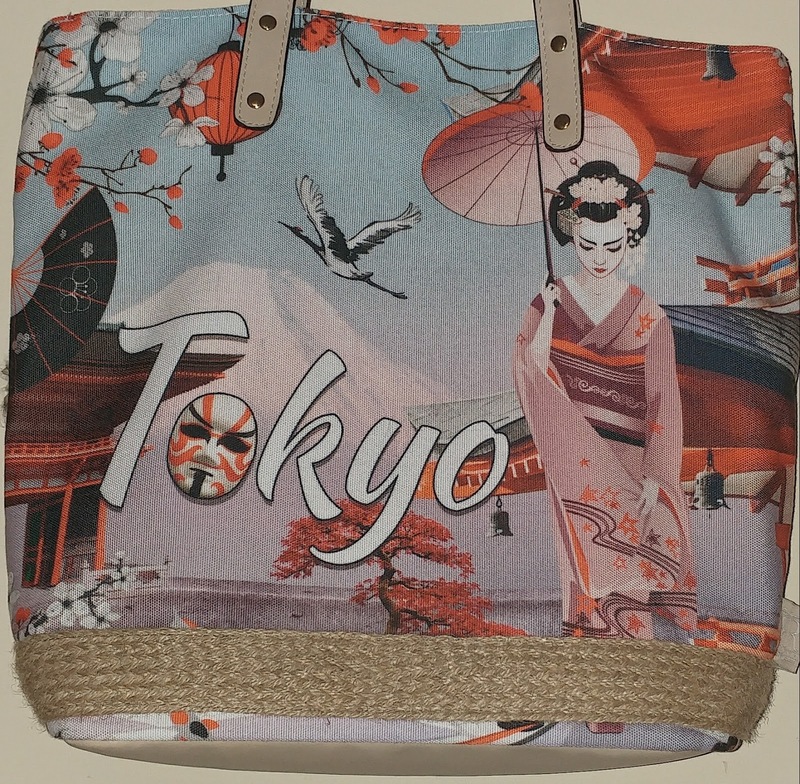 Although it's a hard choice, I can't go past the Tokyo bag! 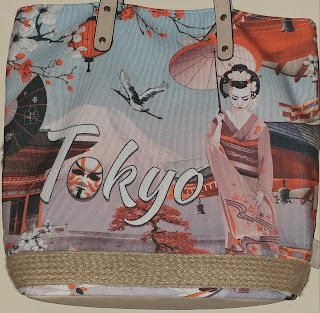 Japan is my second home and every time I use this bag, people comment on it or ask me about Japan. They probably regret asking me because I could talk for hours (days/months/years!) 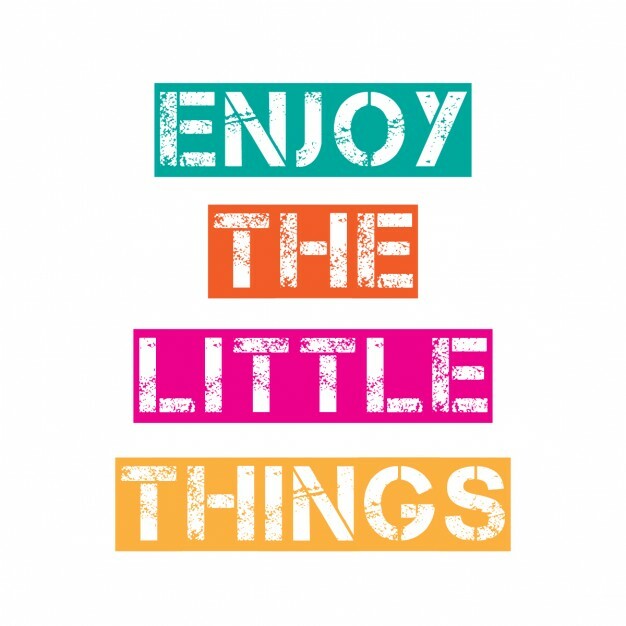 about my beloved 日本 (Japan)!! I must say that the bag from Cambodia is a close second, because I have so much respect and appreciation for all of the hard work that must have gone into making it. Well this is a hard one!! How to choose a favourite from such a lovely array of bags. 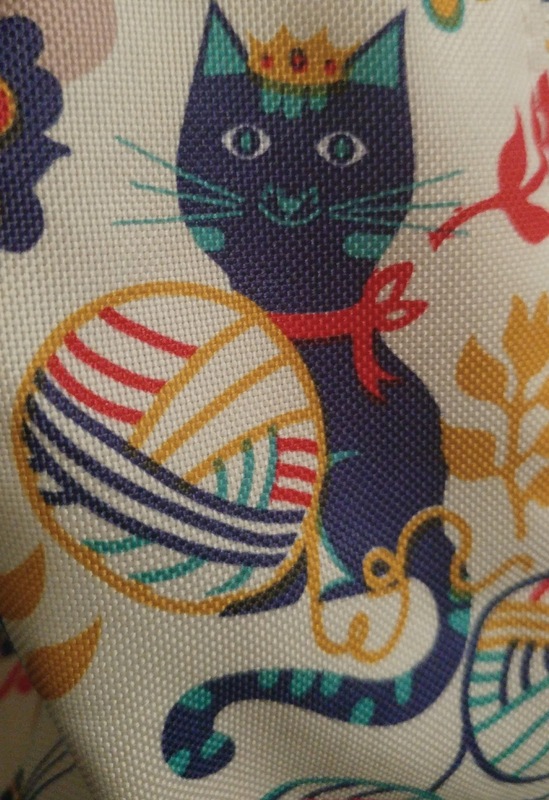 I do love your two top choices but I'm leaning a little towards the cat pattern bag as it is made from recycle materials. However the bag from Cambodia is made from the silk of silk worms so... I guess I can say I really like them all. I've gotta say I love your kitty cat bag the best!